Chai is a way of life for most (North) Indians. Not time or occasion specific, it is the most humble beverage and yet has the capacity to be very ritualistic. It is enjoyed equally in most settings – from an ornate sitting room to an office or even a local street stall. It is the beverage of choice when someone comes a-visiting. It’s what you drink when you spend time with family or have a long gossip session with friends. It’s the first thing you drink in the morning and, often, the last before you turn in for the night. 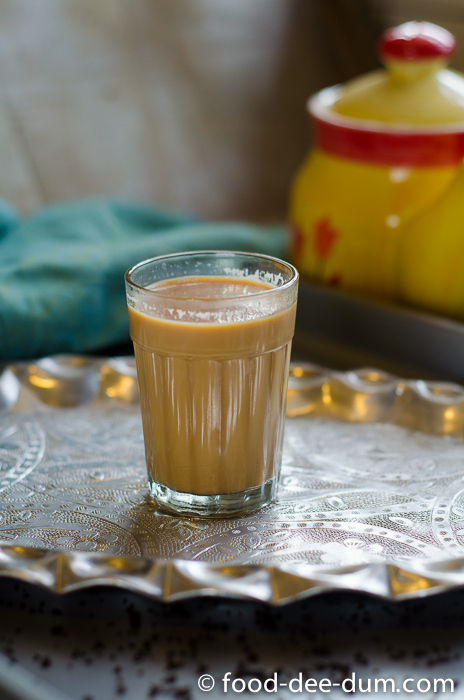 My earliest memory of chai is, strangely, not being allowed to have chai. 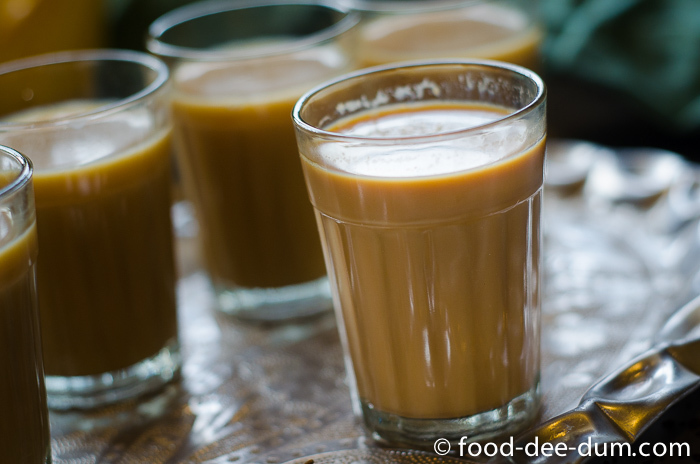 Chai was for adults and milk for the kids. Don’t get me wrong. I love milk. I still have almost 2 cups a day and I don’t think that has anything to do with childhood memories. But in true childish fashion, I only wanted what I couldn’t have. 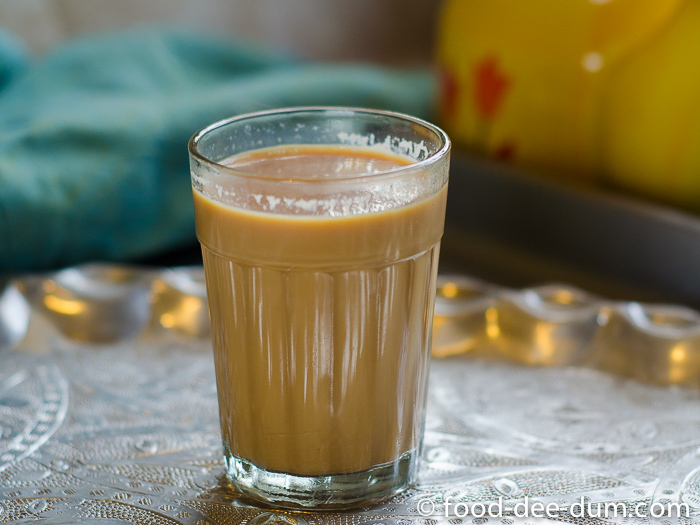 That delicious, strong chai that my parents had everyday and wouldn’t even give us a sip of. Winter holidays and trips to the hills were a great treat for us when my brother & I were rewarded with a dip of ONE tea bag, to be shared between our glasses of milk. Not anything like real chai, but we would take what we could get. What they did allow us to do, once in a little while, was to dip our rusk or biscuit into their cup. And then wail in dismay when they realised that more of the rusk ended up at the bottom of their precious chai cups than in our mouths! Now, of course, I’m allowed to have all the chai in the world! 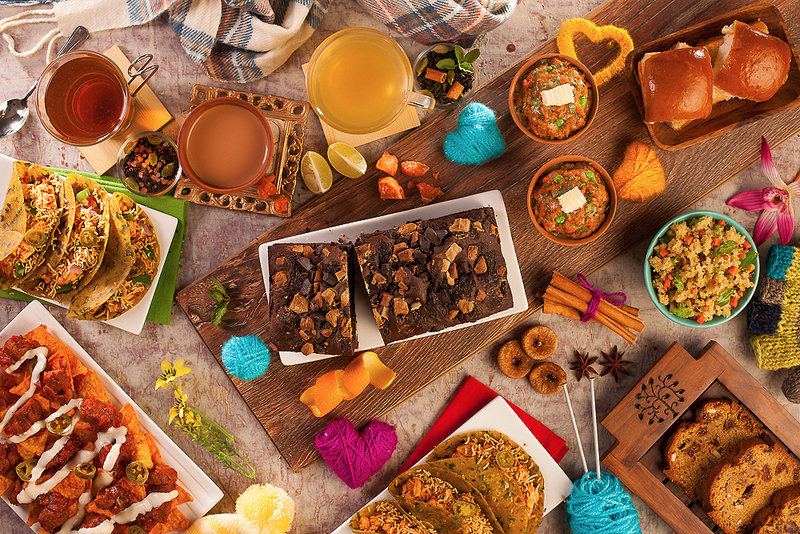 In recent years, as Indian metros hurtle towards the more popular coffee chains, the Starbucks of the world are bringing in Chai-Tea-Latte to their menu and the internet is full of chai-spiced tea cakes and pumpkin pie recipes. But here’s the thing. Chai is NOT a spice. It is simply the Hindi word for “tea”. So chai-tea is like saying tea-tea. And it isn’t a specific recipe or type of tea either – it is the most generic word for tea. Masala, on the other hand means spice or spice blend and chai made with this is usually milky, strong, sweet and spiced with a combination of 2 or more spices like cardamom, cinnamon, black pepper, cloves, ginger, star anise, nutmeg etc. So when most westerners refer to chai-spiced something, they are referring to a spice blend that goes into making Masala Chai. But all chai is not masala. There are as many ways to make chai as there are people in this country. I doubt there is ONE correct way to do so. In fact, between my mom, dad, mother-in-law, father-in-law and I, there are 5 distinct tea brewing preferences! (AK doesn’t drink tea, except at the street stall). 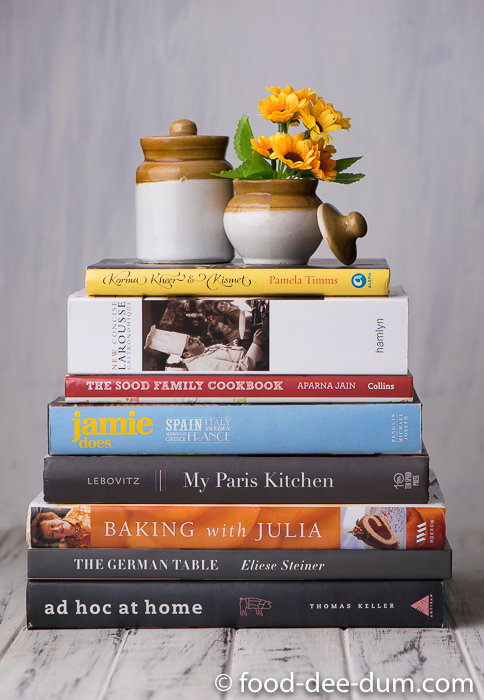 To be honest, I’m not a picky tea drinker and I will go with whichever method my tea companion chooses – I love tea in all its forms. 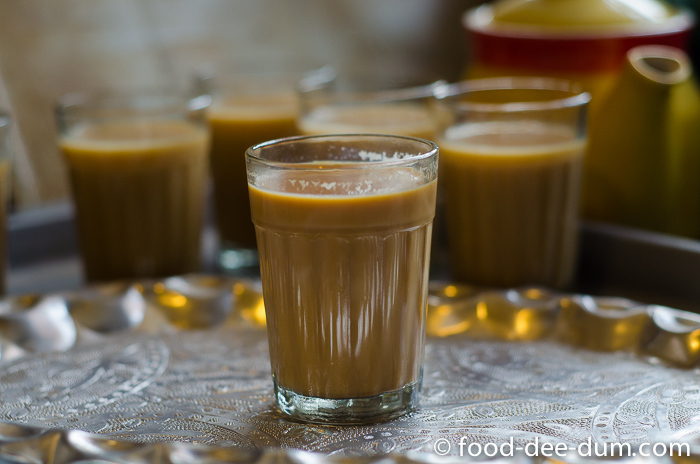 But left to myself, I would make this Masala Chai. Or the most basic version of it, at least. That is, with cardamom and ginger. I usually drink tea without sugar but you should add some, to your taste. Gathered my ingredients and a saucepan. 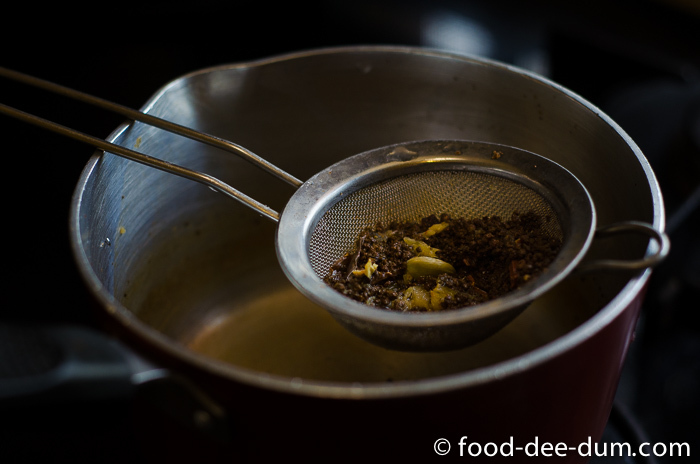 Then I pounded the ginger and spices a little in a mortar pestle – the idea is not to make a fine paste but just to bruise them and open everything up so they will steep their flavour into the tea. I placed the bashed spices and water in a saucepan together and set them to boil on high heat. Once tiny bubbles began to appear on the sides, I added the tea leaves and milk and brought the tea to a full rolling boil. If you’re using sugar, you should add it along with the tea and milk. Don’t ask me why but it tastes better when boiled with the tea rather than added on top. If you are not using ginger (for some odd, unfathomable reason), then you can just put everything together in the saucepan right at the beginning. The reason I add the milk later along with the tea is that sometimes the ginger causes the milk to split and curdle. Once it came to a rolling boil, I reduced the heat to a simmer. Now most people just simmer the tea for 3-4 minutes, until it reaches the colour and strength they like. But I end up playing a game with it – allowing it to come to a rolling boil and catching it just when it’s about to overflow. Reduce to a simmer for a few seconds and let the tea settle then increase the heat and boil it again until it almost boils over. I repeat this cycle 3-4 times before turning it off! I can’t prove that this game of mine adds any value but it IS fun! I like to think that this allows that extra splash of water to evaporate and makes the tea more creamy. Lastly, I strained the tea into the desired cup and discard the tea leaves and spices. 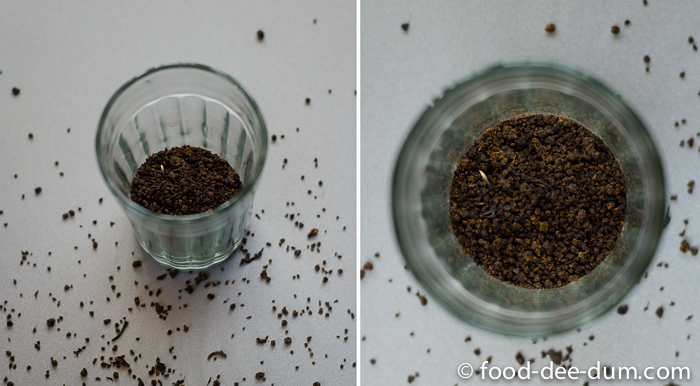 Don’t be alarmed if you find some tea and spice particles that have settled into the bottom of your cup. Just avoid the last half sip if it bothers you. 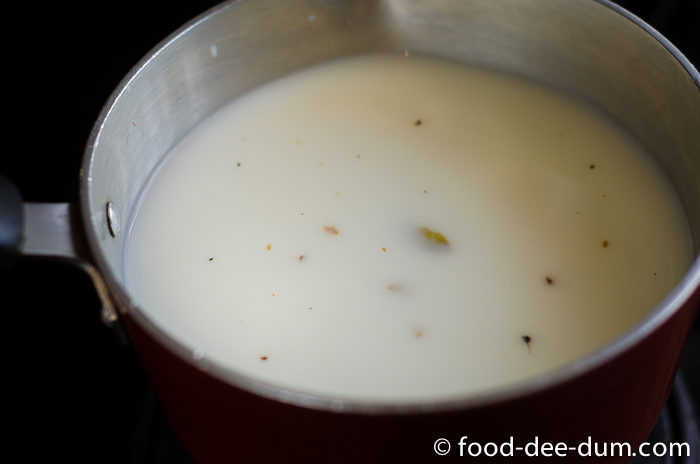 If you use 2% or higher fat milk, then it is impossible to avoid a skin forming over the top of the chai as it cools. But don’t worry. Just pinch it up with your fingers and discard the skin. Underneath it all, the tea will be hot, strong, creamy and deliciously spiced all at once. Go on. Make yourself a cup. You deserve it. Specially in this cold weather. 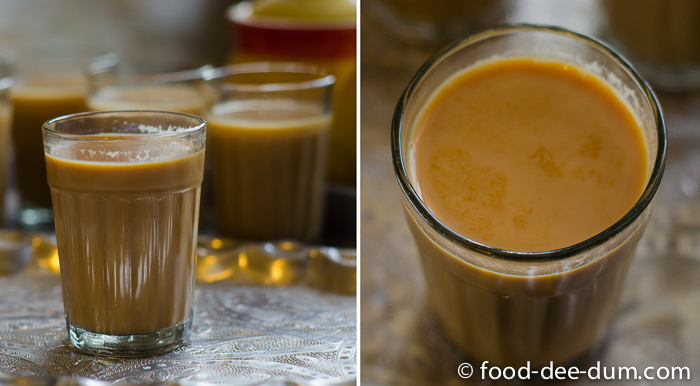 As if anyone needs an excuse for a comforting cup of Masala Chai! 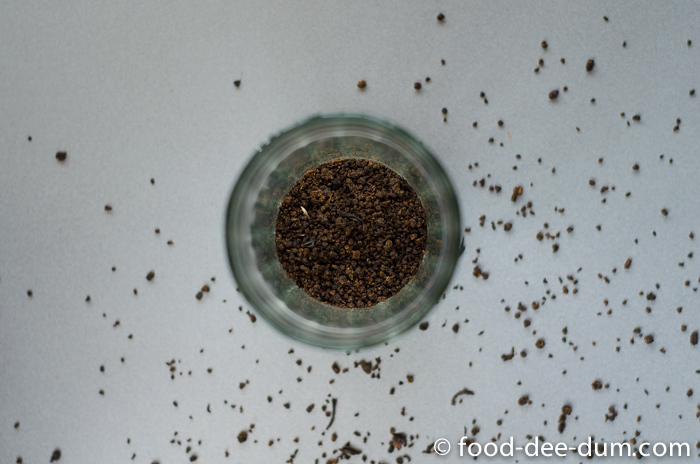 PS: Play around with the tea-milk-water-spice proportions to find your favourite blend. It’ll be fun! 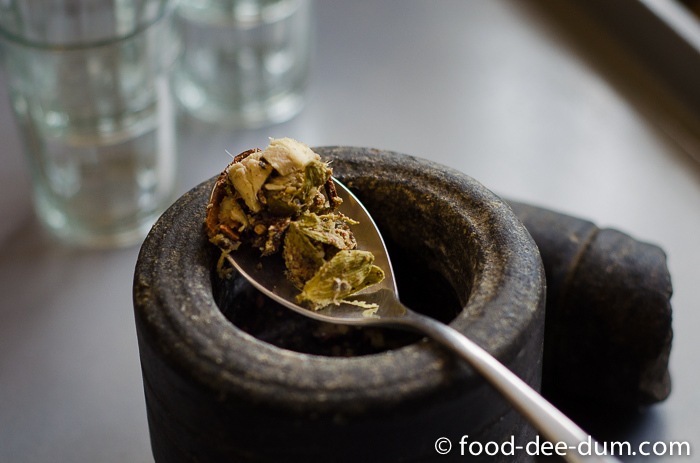 Bash the spices and ginger in a mortar pestle - just enough to bruise them well. 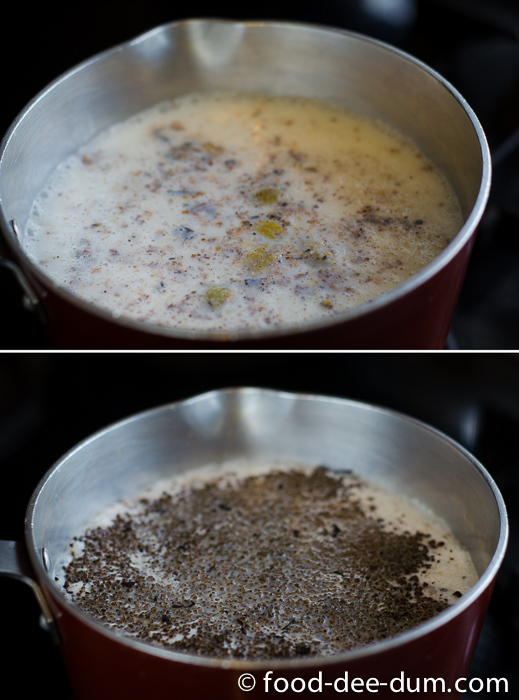 Place this spice mix in a saucepan along with the water and set it on the stove on high heat. 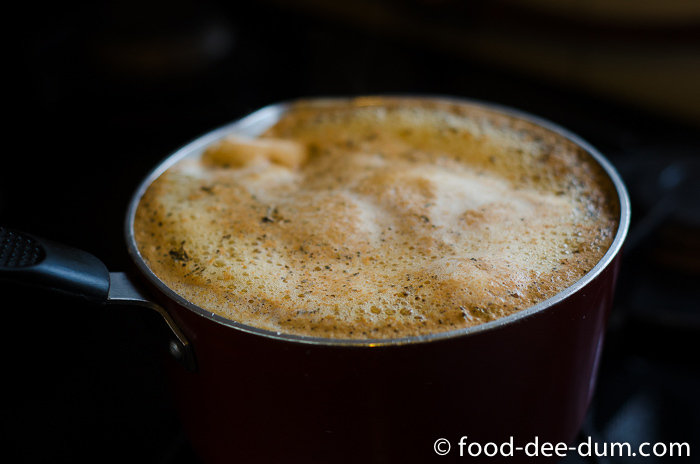 As soon as bubbles start appearing on the side of the saucepan, add the tea, milk and sugar. Once it comes to a roaring boil, reduce the heat and simmer for 3-4 minutes until the colour and strength of tea are to your liking. 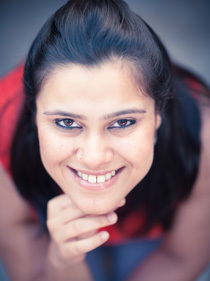 Strain into a cup and discard the leaves and spices before you drink the chai.